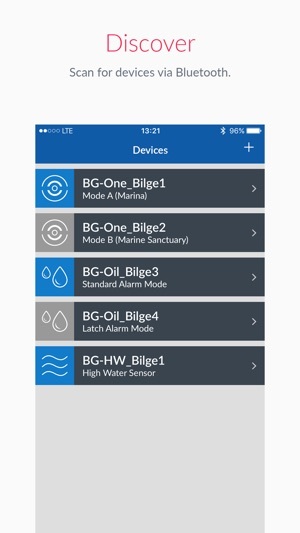 The BGI Config App is an essential tool for users of Blue Guard Smart Sensors. Product compatibility includes: BG-One, BG-Oil, BG-HW, BG-SW, BG-SWA, BG-SWCL, and BG-SP. 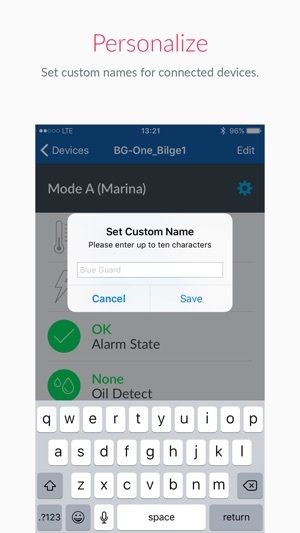 The BGI Config App allows the user to connect, control, monitor, and personalize their Blue Guard Smart Sensors via Bluetooth. 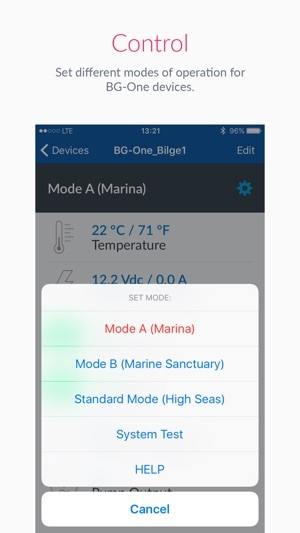 The BGI Config App connects with BGI sensors via Bluetooth. 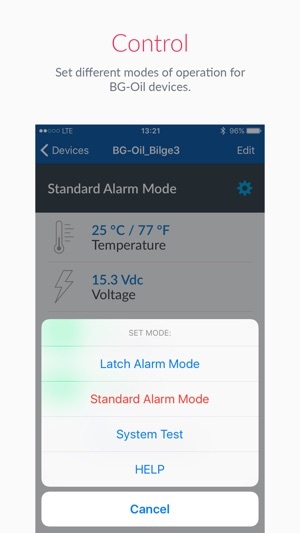 Set the operating modes for the BG-One and BG-Oil sensors. Set low, medium, or high oil detection sensitivity for the BG-One and BG-Oil sensors. Set the pump activation timing after water and oil detection (if applicable) for sensors with pump control. Monitor the current status of all BGI sensors. 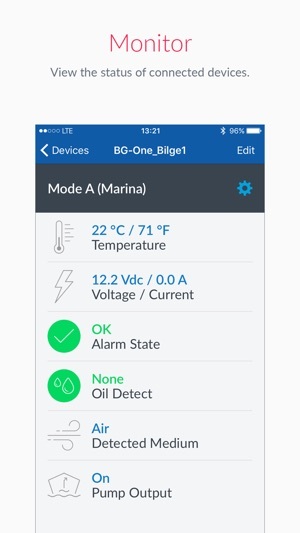 Depending on the sensor, the App allows you to monitor the temperature, voltage and current, alarm state, oil detection, detected medium, and pump output. Personalize each sensor by changing the names of devices for easy identification and differentiation. 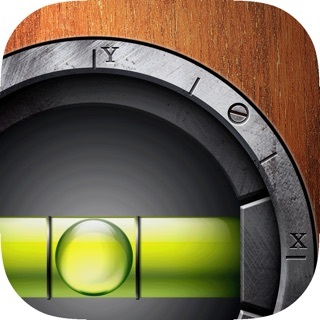 We periodically update our apps to provide the best user experience.